Eschewing the American amber style that's come to prominence, here's a return to a more genteel form of amber. 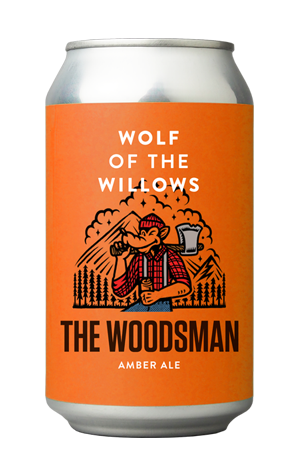 Admittedly, it comes within a can featuring a wolf lugging a giant axe but, as was proven in the 1970s, many lumberjacks enjoy buttered scones for tea, pressing wild flowers and occasionally dressing in women's clothes when hanging out in bars, so genteel makes sense. Toasted biscuits, a hit of chocolate, some toffee and a finish that's dry more than bitter and keeps the sweetness in check, just like the old days; you know, 2012.